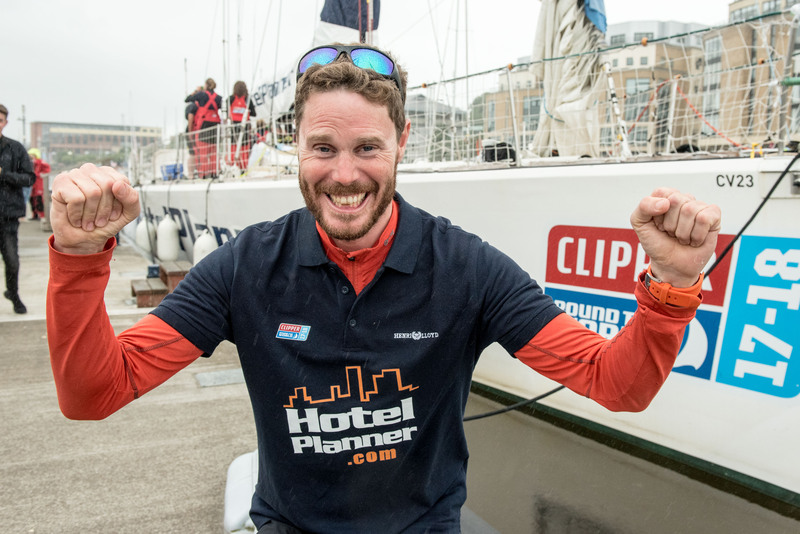 The pair and their HotelPlanner.com teammates were cheered on by locals, supporters, family, and friends, who had lined the banks of the Foyle as the 70-foot ocean racing yacht joined the other Clipper Race teams at Derry-Londonderry’s Foyle Port Marina. Conall says: “To arrive back in Derry-Londonderry is a big thing for me. I really couldn’t believe the welcome. A couple of boats came out to meet us at Greencastle and there were people lining the river. 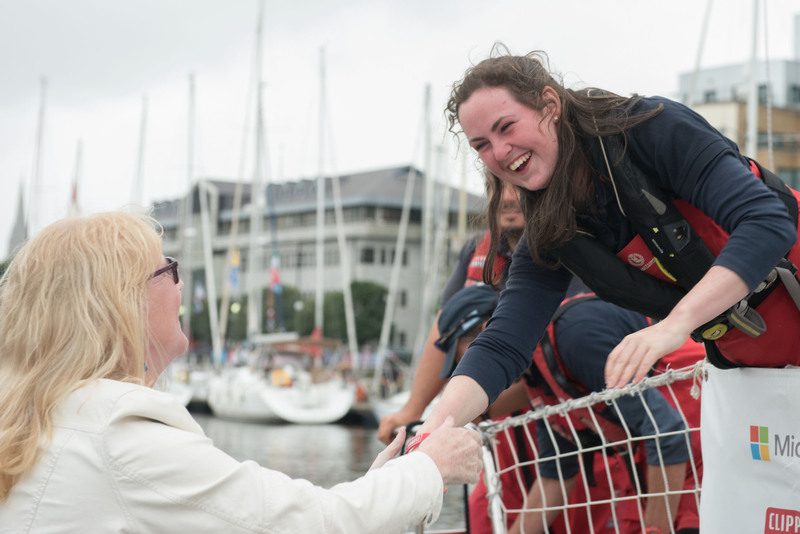 Roseann, a 24-year-old Marketing Officer from Lifford, also had family to welcome her and admits it was an emotional homecoming, saying: “It was a really cool experience coming down the Foyle and my friends and family were there on the water. 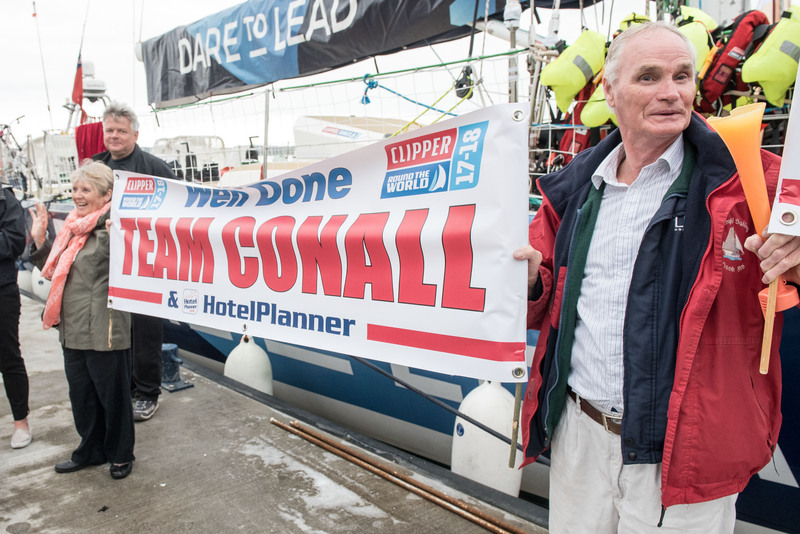 Conall, Roseann, and their HotelPlanner.com teammates crossed the finish line at 14:56:10 UTC, finishing the sixth and final ocean crossing of the circumnavigation in a touch over 14 days. "It was a bit slow going in the final hours but we knew that so were prepared," says Conall. It was also a homecoming of sorts for the six crew members from Ireland, including round the world crew members Mary Frawley from Tipperary and April Rellis from Waterford. Mary says: "It's great to be here. It was quite emotional which I didn't expect. I was really excited but this morning during our early morning watch when we saw the first glimpse of Ireland it was quite emotional." To follow the progress of the rest of the fleet to Derry-Londonderry, keep an eye on the Clipper Race Viewer. The ETAs will also be regularly updated here.